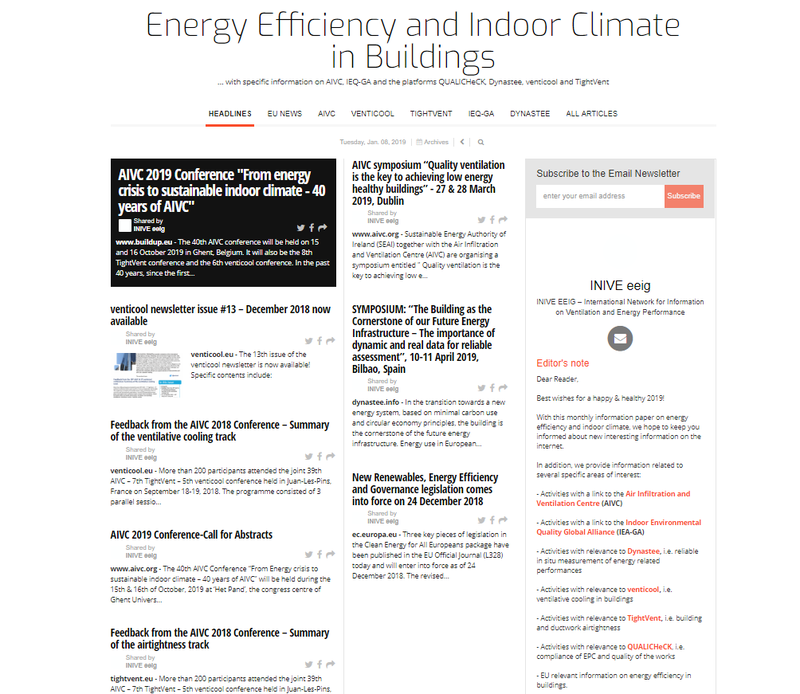 The January 2019 issue of the “Energy Efficiency and Indoor Climate in Buildings” newsletter has just been released. 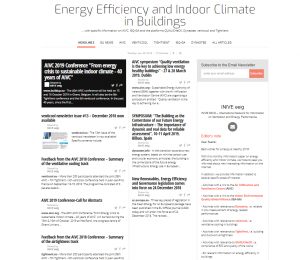 This monthly online newspaper contains relevant information on the Air Infiltration and Ventilation Centre (AIVC), the building and ductwork airtightness platform (TightVent Europe), the international platform on ventilative cooling (venticool), Indoor Environmental Quality – Global Alliance (https://ieq-ga.net/), the Dynastee platform & EU relevant information. We would like to encourage you to subscribe to get informed on a regular basis on our platforms’ activities. Highlights of the AIVC-venticool & TightVent 2018 joint Conference!